Well Hung? Half-Hung or Not Hung at all. Amongst the many dark and mysterious secrets of Newcastle’s past, there is one that I have always found particularly fascinating; The Legend of ‘Half-Hung’ MacDonald. The short summary of the story is that Owen MacDonald was a soldier, executed on the Town Moor for a murder committed at a pub on Newcastle’s Bigg Market, in 1752. As part of his sentence he was to be dissected, after execution, by the Surgeons at Surgeons Hall (a common practice after 1752, see previous blog for more info). So far, so normal! However, in an entry in Sykes Local Records from 1833 an interesting footnote appears when describing the sorry episode. Irrespective of the relative truth of the tale, from henceforth the legend was created and spread far and wide, the extent to which the story became a popularised ‘truth’ can be instanced in its appearance in a Californian newspaper, The Golden Era, in 1866, replete with numerous factual inaccuracies and literary flourishes, such as the date of the execution being listed as 1762, a decade after it happened! Indeed the legend still appears on many a modern article on death, resurrection or burial (should you be searching for these things on Google!) and is still one of the most titillating stories on the many ghost or murder walks and tours that take place in Newcastle. But was it true? I wanted to see if I could make any sense of the story by using the Tyne and Wear archives. My first stop was the Barber Surgeons records, (or to give them their fantastic full title, the Newcastle upon Tyne Company of Barber Surgeons, Wax and Tallow Chandlers and Periwig Makers). There is no record of the incident recorded, indeed relatively few notes exist about dissections of the executed. Having said that, you would hardly expect them to have recorded an incident of malpractice like that. A newspaper report gives us a fuller insight. Two weeks later the same newspaper carried a detailed report of all the elements of the dissection (being as it was an event open to the public) and no mention is made of any foul play. So, perhaps the story ends there? Well, not satisfied I decided to use the newspapers to trace another part of Sykes’ initial entry. Namely, the mysterious death of the Surgeon who apparently killed MacDonald on the dissecting table. 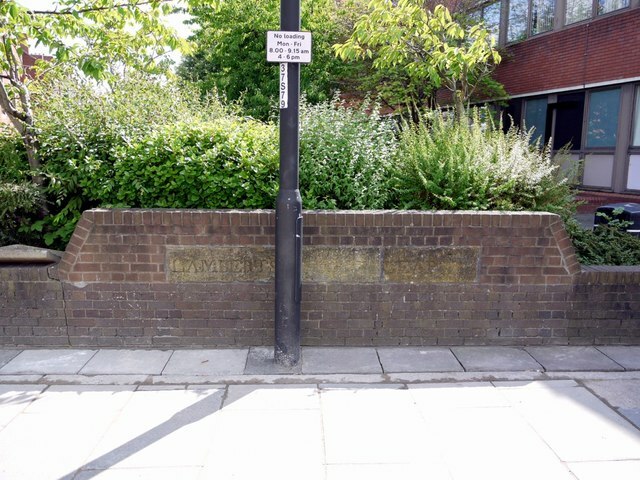 Now, Lambert’s Leap, for those who don’t know (don’t worry, I didn’t – despite walking past it, unknowingly, hundreds of times) is still remembered via a coping stone in a wall behind a bus stop on Sandyford Lane. In the mid c18th it was the site of “narrow bridge that crossed the deep wooded Sandyford Dene, a tributary of the Ouse Burn further east.” The stone was placed in the wall to commemorate another remarkable incident in 1759, reported at the time, in the Newcastle Courant. Later reports suggested that Lambert’s survival was even more providential, some claiming that he survived by hanging from the branches of an old ash tree. 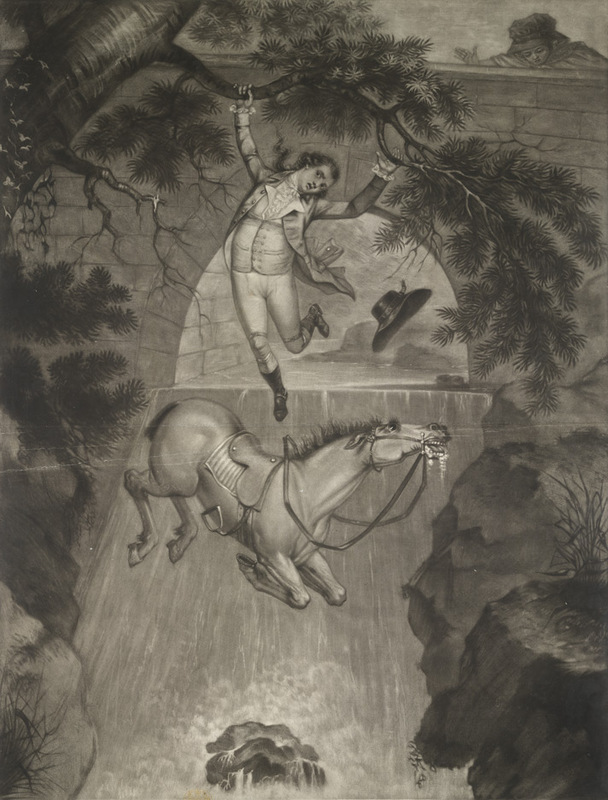 This story became the stuff of legend and was memorialised in an aquatint in 1786, held in the British Library. There was even a pub named after it just near the site, which has since shut down. The most important two facts for my queries though, were that Cuthbert Lambert was a Customs Officer, not a Surgeon, and that he didn’t die in the accident, indeed he miraculously survived. So, he couldn’t have presided over a dissection and any idea that his death was some sort of karmic retribution can be dismissed by his remarkable recovery. One other possibility is a bizarre repeat of history almost 70 years after. However tragic, Nicholson could not be the surgeon in Sykes Records as he would not have been alive at the time of MacDonald’s dissection and, as our earlier sources show, his father and his Surgeon teacher, Mr Henzell, were not recorded as present either. So, where does this leave “Half-Hung” MacDonald and the relative truth of Sykes’ “thrown together” note that was “fast fading away” at the time of writing. My estimation is that, like many popular tales or myths, it is the conglomeration of numerous incidents fuelled by the very real contemporary fear of Surgeons and the punishment of dissection. A punishment that historian Ruth Richardson famously said was often more greatly feared than execution itself. What shouldn’t be forgotten in any attempts to disprove this legend is that, however true, it would have been widely believed by the people of the day. John Sykes, Local Records; Or, Historical Register of Remarkable Events: Which Have Occurred in Northumberland and Durham, Newcastle upon Tyne, and Berwick upon Tweed, from the Earliest Period of Authentic Record, to the Present Time; with Biographical Notices of Deceased Persons of Talent, Eccentricity, and Longevity (J. Sykes, 1833), 202. “Half-Hanged Macdonald.,” Monthly Chronicle of North-Country Lore and Legend 1, no. 7 (September 1887): 331. After months (years) of personal procrastinating, I was finally convinced to do a live show with my comedy group Hot Gulp. The date and venue were set (May 9th, Westgarth Social Club, Teesside) and the venue was far enough from Newcastle to mean any catastrophic failures stayed unknown by my nearest and dearest. 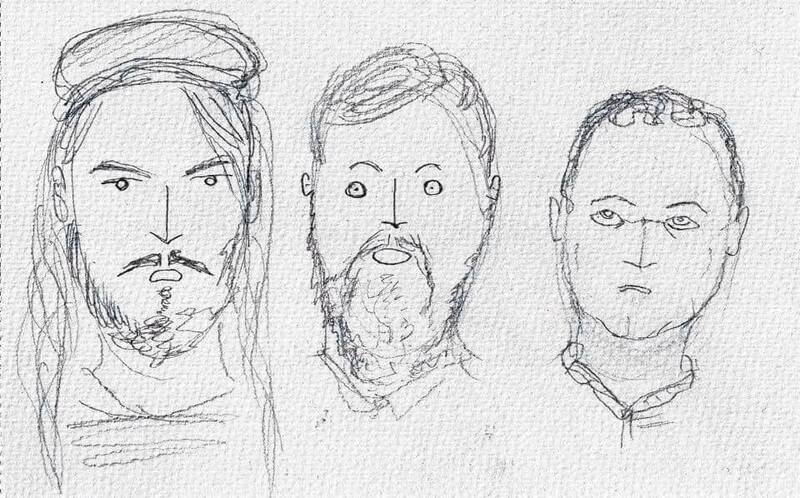 Despite my massive reservations and crippling fear, the event went very well and there was even a live sketch artist who drew us as we performed – remarkably well actually (except Sean, far right, who has been wounded ever since seeing his likeness!). Death, Dissection and the Doctor.